More than 6,000 marketing, digital and ecommerce professionals around the world took part in this year’s Digital Trends survey, giving the richest pool of data we have ever had for a survey aimed at business professionals. While the research is forward-looking, it is also intentionally anchored to the realities of the present day, and based on the experience of marketers across thousands of companies and a wide range of business sectors across the worlds of both B2B and B2C. 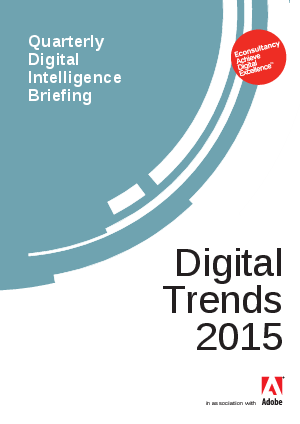 Download this report to find out more about the new Digital Trends.